Liberty University is accredited by the Higher Learning Commission. Accreditation is the assurance we meet or exceed standards for quality of faculty, curriculum, learner services, and fiscal stability. It’s as important to us as it is for you. See all of our accreditation and our recognition. © 2018. Liberty University is a registered trademark. Innovative digital marketing and advertising promotions are critical components of a business’ success. Without digital marketing experts on the team, businesses miss out on potential markets that their products or services could thrive in. Liberty’s online Masters in Digital Marketing and Advertising equips you to meet this need through cutting-edge digital marketing training rooted in biblical business principles. As a pioneer of distance education since 1985 and a top-five ranked Christian university, Liberty has the reputation, resources, and academic quality to prepare you for success in the digital marketing sphere. Liberty’s mission is to Train Champions for Christ, and we fulfill our mission by providing business professionals with practical, in-demand skills training with a Christian worldview. Through our online graduate Digital Marketing and Advertising degree, you will get training on core digital platforms and general media for establishing quality marketing campaign strategies. Whether you want to build on your current business skills to further your career or you are entering the field for the first time, our online MS in Marketing – Digital Marketing and Advertising degree will give you the training you need! Media technologies and communication strategies. Effective social media business interactions. Strategic communication campaigns for the digital age. Liberty University’s M.S. in Digital Marketing and Advertising’s 100% online format provides flexible and affordable training in strategic marketing management, marketing promotions, media technologies, and strategic communication campaigns. Whether your goal is to advance your marketing skills, seek promotion, or want to better your own business, these skills will help you excel in the digital business sphere. You may also be interested in exploring our master degree in Business Administration, Accounting, or Executive Leadership. By earning your master’s degree online from an accredited, nonprofit university whose online programs are ranked in the top five of more than 2,100 online colleges and universities for academic quality, affordability, and accessibility, you can be confident your degree will be well respected within your field. Our Masters in Marketing – Digital Marketing and Advertising is accredited by the Accreditation Council for Business Schools and Programs (ACBSP). Students can complete this M.S. in Marketing degree program in as little as a year and a half! Additional discount for veterans who serve in a civilian capacity as an Emergency Responder (less than $625 per course). 8-week courses, eight different start dates each year and no set log-in times. 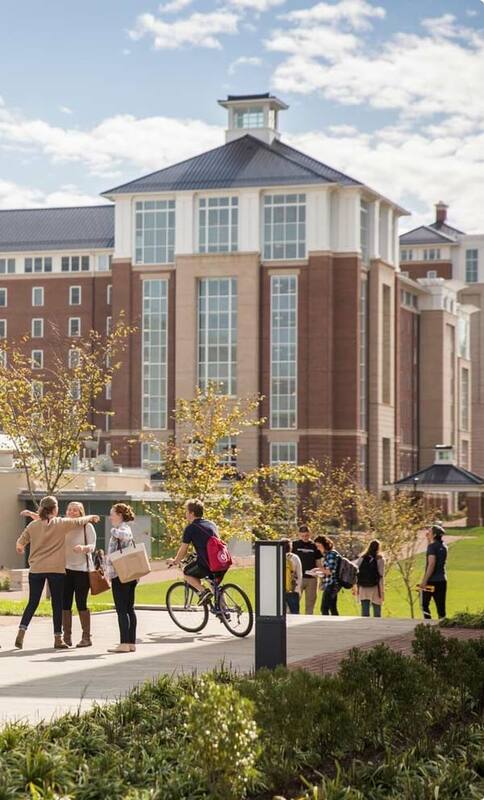 As a fully accredited Christian college with a 7,000+-acre campus in Lynchburg, Va., Liberty University offers you an education that is both academically challenging and rooted in a biblical worldview. At Liberty, you’ll benefit from 30+ years of learning, growing, adapting, and innovating for the distance learner — and more than a decade of researching the needs of the online student. You can be confident that we’ve taken the time to learn what’s important to you. These important factors challenged us to find new financial solutions, get ahead of industry trends, and blaze trails into cutting-edge career fields — and it’s paid off. That’s the difference experience makes. We’re now ranked in the top 1% of online schools and universities for affordability, accessibility, and academic quality. Evaluated from the veteran’s perspective for university culture, academic outcomes/quality, student support, academic policies, and cost and financial aid. The Accreditation Council for Business Schools and Programs requires commitment to continuous improvement centered on student skill development. Ranked #1 for student interaction, overall student satisfaction, Christian character, quality of online programs, and academic prestige. Committed to quality teaching, the National Council for Accreditation of Teacher Education upholds the standard of excellence for teacher preparation. Ranked #3 for breadth of programs, academic outcomes, affordability, and the variety of online learning opportunities. Ranked #5 for affordable tuition and flexible program format. 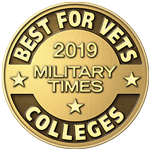 Recognized for best practices in military and veteran education, a strong military culture, flexibility, financial aid availability, on-campus and online support services. Ranked “Best Online College in America” for academic rigor, diversity, and value. Choose from a wide variety of programs at the associate, bachelor’s, master’s, and doctoral level, most of which are 100% online*. With an 8-week format and 8 start dates per year, it’s easy to fit your courses around your schedule! Start and finish your degree faster! Liberty requires no standardized testing for admission, and you can transfer previous course credit — transfer in up to 75% of a bachelor’s degree and up to 50% of a master’s degree — or discover how your life, career, or military experience may count toward your college degree. All of our courses are taught from a Christian perspective and our faculty sees themselves as mentors. Our mission is to Train Champions for Christ — we’re committed to championing you as you study to go further in your field, become a leader in your industry, or start a new career. Throughout your educational journey you will have access to academic resources that will aid in the completion of your degree. Services include our online library, writing center, tutoring, study aids, IT assistance, 30+ tutorial videos, live webinars, and personalized help from our academic advising team. Liberty’s online courses give you the ability to choose when and where you study. As a nonprofit (not-for-profit) university, Liberty is in the business of training skilled professionals to make a difference in the world – not gaining profit, revenue, or producing dividends for shareholders. In keeping with our commitment to your education, we invest our resources back into degree programs and into your student experience. While many other online colleges have raised tuition, Liberty has been able to keep costs low as a non-profit university and has not increased tuition in three straight years. Lower tuition means less student loan debt for students. For Liberty University, nonprofit is more than a status; it is the valuable opportunity to invest in the lives of students who will go out and impact the world. Tuition amounts are for an entire degree and all tuition rates and credit hour requirements are based on data published on competitor’s websites as of 11/28/18. Therefore, this information is believed but not guaranteed to be accurate. All tuition data and credit hour requirements are for online programs. Individual institutions may charge additional fees above published tuition costs. Rates are subject to change. Available for: Military service members, including active duty, retired, veterans, and their spouses. Also available to first responders. Contact one of our Admissions Counselors for more information by calling (800) 424-9595.